Prime minister Narendra Modi said he himself is an example of Ambedkar's philosophy. Prime Minister Narendra Modi on Sunday lamented that many people mocked Bhimrao Ambedkar and made efforts to ensure that the son of a backward family does not progress but noted that today's 'new India' is altogether different as it belongs to the poor and the backward. 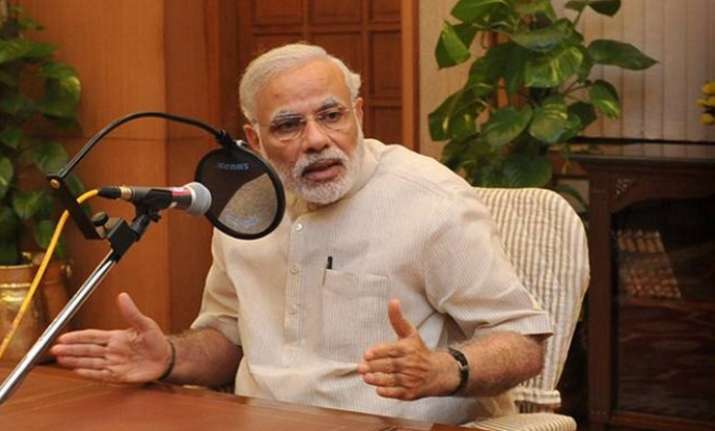 In his monthly 'Mann ki Baat' radio address, the prime minister also hailed the role of leader such as Mahatma Gandhi, Lal Bahadur Shastri, Ram Manohar Lohia, Charan Singh and Devi Lal for recognising agriculture and the farmer as vital aspects of the nation's economy. The prime minister said, Ambedkar showed us that to succeed it is not necessary for a person to be born in an illustrious or rich family, but even those who are born in poor families in India can dare to dream their dreams and realise those dreams by achieving success. The prime minister said he himself is an example of Ambedkar's philosophy. "...many people mocked Ambedkar, tried to pull him back and made every possible effort to ensure that the son of an impoverished and backward family does not progress in life, be something and succeed in life. But, the picture of new India is altogether different. It is an India which is Ambedkar's India, of the poor and the backward," Modi said. He said on the occasion Ambedkar's birth anniversary, from April 14 to May 5 Gram-Swaraj Abhiyan,' is being organised. As part of the campaign, separate programmes on village development, poverty amelioration and social justice will be held throughout India. "I urge you all to be a part of this campaign," he said. Years ago, Modi said, Ambedkar spoke of India's industrialisation as a means to generate new jobs and push development. "Today, the campaign of Make in India is progressing successfully in consonance with Ambedkar's dream of India as an industrial super power -- that vision of his has become our inspiration today," the PM said. That the development of industries could only be possible in the cities, was the kernel of the idea of Ambedkar and that was the reason he banked upon urbanisation of India, he said. "Baba Sahib had strong faith in self-reliance. He did not want anybody to languish in poverty forever. He also believed that poverty cannot be ameliorated by mere distribution of capital...Today our monetary policy, Start Up India, Stand Up India initiative have become seedbed for our young innovators and young entrepreneurs," Modi pointed out. He also hailed the role of Ambedkar in propagating the idea of having ports and waterways to boost economy. He said when India was discussing Partition the World War II and the Cold War, Ambedkar "in a way" laid the foundation of Team India's spirit. He had talked about the importance of federalism, federal system and stressed on the Centre and states working together for uplift of the country. "Today, we have adopted in all aspects of governance the mantra of co-operative federalism and going a step further, we have adopted competitive cooperative federalism," Modi said. Referring to the agriculture sector, the PM said, from Mahatma Gandhi to Lal Bahadur Shastri, Ram Manohar Lohia, Charan Singh, and Devi Lal --all recognised agriculture and the farmer as vital aspects of the nation's economy and also for the common man's life. He recalled Mahatma Gandhi's words that to forget how to dig earth and to tend the soil, is to forget ourselves." He said, Shastri insisted improvised agricultural infrastructure, while Lohia talked of creating a mass awakening about necessary measures to ensure a better income for farmers. He recalled that Charan Singh in his speech in 1979 had urged farmers to use new technology and to adopt new innovations and underlined their vital significance.